Three fundamental issues hamper the relationship between Saudi Arabia and the United States. On these issues kings and presidents have basic disagreements about core goals and objectives. Interest and mutual accommodation can overlap, but it is difficult to find them. The three issues – the Israel-Palestine conflict; the role of Wahhabi Islam in Saudi policy at home and abroad; and the pursuit of political reform in the Arab world – are likely to be disruptive factors in the relationship in the years ahead and will require creative diplomacy to manage…. For American presidents it is vital to understand the centrality of the Palestinian issue in Saudi national security policy. A vibrant and effective peace process will help cement a strong relationship between king and president; a stalled or exhausted process will damage their connection. The Saudis emphasized the Palestinian issue in their public statements about Trump’s meeting with Prince Muhammad bin Salman. Trump has promised he will seek a deal. The best approach for America to take is to pursue a peace agreement between Israel and the Palestinians, with the endorsement of Saudi Arabia and the rest of the Arab world when a deal is made. Of course, history shows that success in this arena is very difficult to achieve and, therefore, unlikely. Nonetheless, working toward such a deal is the right course of action. The second major disruptive issue in U.S.-Saudi relations is more complex and less susceptible to direct diplomacy. Saudi Arabia has a unique connection with a unique form of Islam. The Kingdom is founded on the alliance between the House of Saud and the House of al Shaykh, the descendants of Muhammad Ibn ‘Abd al Wahhab. This alliance is at the center of what makes Saudi Arabia the special country it is: an absolute monarchy combined with a strongly conservative theocracy. This alliance between the royal family and the clerical establishment has evolved over the decades. The kings have tended to push the process to ensure the survival of the state. Ibn Saud was ready to work with the United Kingdom and then the United States, two foreign Christian powers, which his predecessors would have regarded as the epitome of evil and just targets for jihad. He accepted borders for his state, something the first Saudi state in the eighteenth century would never had accepted, even from a fellow Muslim state, the Ottoman Empire. King Faisal introduced reforms, such as female education and the abolition of slavery, that were questioned by many clerics. He was assassinated for introducing television. Fahd and Abdallah were both reformers in their own ways. So the Saudi family has successfully nudged the al Shaykh establishment into a more tolerant and modern world. But there are limits to how far and how fast change can be made, and every Saudi king is acutely aware of them. The clerics are popular. For example, the eleven most popular Twitter handles in the Kingdom are those of conservative Wahhabi clerics. (6) Saudi Arabia cannot abandon Wahhabism and survive in its current form. Nor does the royal family want to abandon its faith. King Salman built the capital city to be a symbol of the alliance with the ulema. Salman has devoted his life to raising funds to promote the cause of the mujahedin from Afghanistan to Palestine. The importance of Saudi religious belief is especially critical on the question of gender equality in the Kingdom. As one Saudi expert has written, the status and place of women “are what makes Saudi Arabia unique and dif­ferent from other Arab and Muslim countries.” (7) The Saudi Wahhabi interpretation of Islam is founded in a large corpus of religious legal findings. An estimated 30,000 fatwas or religious decrees have been blessed by the clerics in the last half-century to regulate every aspect of female life in the Kingdom and cement its gender policies. (8) Women live segregated from the public space for the most part, and they wear black while men wear white. The status of Saudi women is a unique phenomenon in the Muslim world. Even its neighbor Qatar, which is also a Wahhabi state, allows Qatari women to drive and provides employment for many women in public service. Saudi women live sedentary lives and spend little time outside the home. As a consequence 80 percent have a vitamin D deficiency. (11) The Saudi treatment of women is also a serious barrier to American-Saudi relations and is likely to become an even more significant complication as gender politics change in America much faster than in the Kingdom. Saudi religious beliefs also play a role in the issue of terrorism. There is no question that Saudi Arabia is a target of Islamic radical jihadist groups like al Qaeda and the Islamic State. Saudi Arabia has been, for over a decade, a crucial partner with America in the battle against the global jihadist network of terrorist groups. In 2010 the Saudis provided critical intelligence information that foiled an al Qaeda plot to blow up a commercial delivery aircraft over Chicago. The Saudi deep state that fights any dissent at home is effective in fighting terrorism, as well. Former crown prince Muhammad bin Nayef is the epitome of the deep state and its counterterrorism successes. John Brennan, President Obama’s Saudi expert, characterizes the issue this way: The Saudi intelligence services “are really very close partners with us. 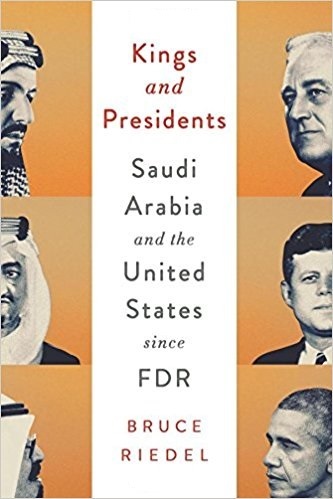 But … the Saudi government and leadership today have inherited a history whereby individuals have embraced a rather fundamentalist extremism in their version of the Islamic faith.” The former CIA director argues that “these very fundamentalist realms of Saudi supported organizations fully exploited them as a spring board for militancy, extremism and terrorism.” (13) …. The third area of disharmony is newer in many ways than the long-term differences over Israel and Wahhabism. In the last decade it has become clear to many Americans and also to many Arabs that the Arab world needs fundamental political and social reforms. The revolutionary explosions that shook the Arab world in 2011, in what was called the Arab Spring, embodied the concern that the status quo in Arabia is unsustainable. Except for Tunisia, the revolutions failed, ending either in a return to autocracy or in civil war and failed states…..
Inevitably the Saudi determination to maintain the old order in the Arab world will lead to more unrest, not less. The reasons the Arab world exploded into revolution in 2011 have not gone away or been resolved. Rather they have been repressed and stifled more than ever. Many Arabs may well be horrified with the results of the Arab Spring in Syria and Libya, for example, but they also do not want a return to the harsh dictatorships of Assad and Muammar Qadhafi. Superficially, then, it appears Saudi Arabia is a force for order in the region, one that is trying to prevent chaos and disorder. But in the long run, by trying to maintain an unsustainable order enforced by a police state, the Kingdom may, in fact, be a force for chaos. If there is no movement toward political reform, opening up the political process and reining in the deep state, then another revolutionary tidal wave is all but inevitable and is likely to be more violent and disruptive…. (6) Martin Chulov, “Saudi Crown Prince’s Ascendancy Gives Hope of Reform— But It May Be Premature,” The Guardian, June 22, 2017. (7) Madawi al Rashid, “Caught Between Religion and State: Women in Saudi Arabia,” in Saudi Arabia in Transition: Insights on Social, Political, Economic and Religious Change, edited by Bernard Haykal, Thomas Hegghammer, and Stephane Lacroix (Cambridge University Press, 2015), p. 301. (10) “Over Half Million Saudi Men Engaged in Polygamy, Report Shows,” Al Arabiya English, October 27, 2016. (11) James Dorsey, “Sport, Culture and Entertainment: Driving Tricky Saudi Change,” International Policy Digest, April 10, 2017. (12) Daniel Benjamin, “Threat Assessment,” Time, October 6, 2014. (13) John Brennan, “CIA’s Strategy in the Face of Emerging Challenges: Remarks by John Brennan,” Brookings Institution, Washington, July 13, 2016, p. 10.